Well here it is. 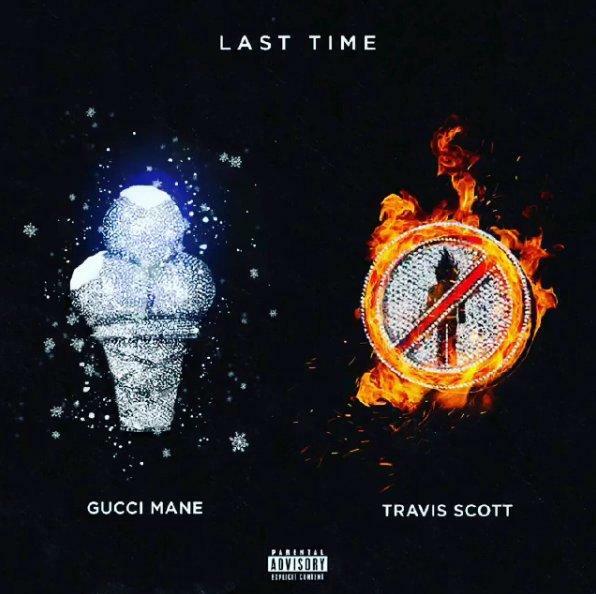 After teasing fans last week with a preview of an upcoming Travis Scott collab, Gucci Mane decides to come through tonight and liberate the entire song, which we know now is called “Last Time,” and it's fire. Over some trap-infused production from Zaytoven, Gucci raps about his past drug usage & the internet rumors of him being a clone, before Travis breaks out the heavy auto-tune & handles the hook by crooning about "talking only half" of the drugs. Look for the collab to see life on Gucci's forthcoming #Woptober project, which on the way. Hit play and let us know what you think! ICYMI, Travis' BITTSM is expected to be dropping VERY SOON (see here).